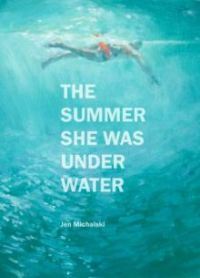 jen michalski blogger: The Summer She Was Under Water Acquired by Black Lawrence Press! The Summer She Was Under Water Acquired by Black Lawrence Press! Proud to announce that my second novel, The Summer She Was Under Water (2016, Queens Ferry Press) has been acquired by Black Lawrence Press and will be available in paperback in December 2017. You can preorder now, and I would be so grateful if you did. It's an amazing feeling to have both of my novels (The Tide King, 2013) in the same great family.